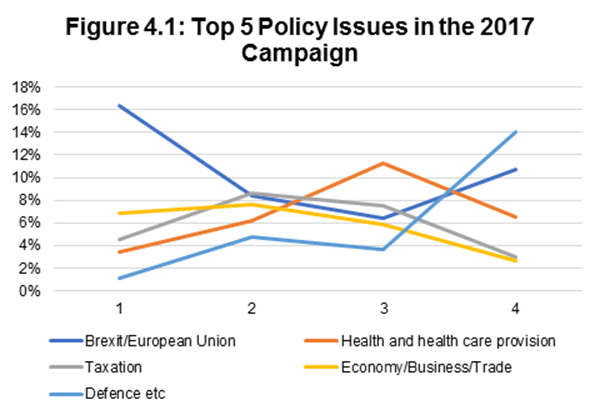 In its third report analysing media coverage of the campaign, the research team found the party coming under substantial attack for its ‘dementia tax’ and the way the issue was handled by Theresa May.It also found the Tory’s had lost control of the issue agenda with health and healthcare – a key Labour policy – becoming the most covered substantive issue. 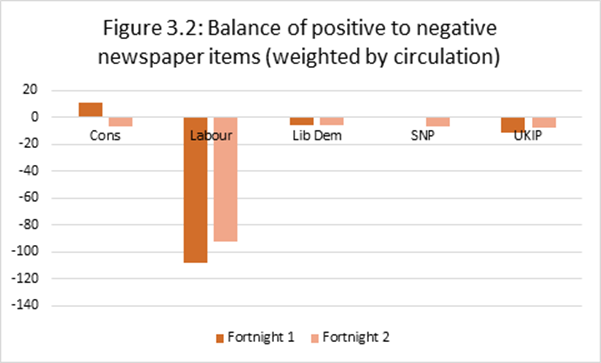 Although the majority of media coverage for Jeremy Corbyn and the Labour Party has continued to be critical, the gap between negative and positive coverage has diminished in the second half of the campaign, suggesting Labour is gaining momentum with some media. In the aftermath of the Manchester bombing defence issues rose greatly in prominence, as did the prominence of Amber Rudd, Home Secretary, and Diane Abbott, her Shadow.